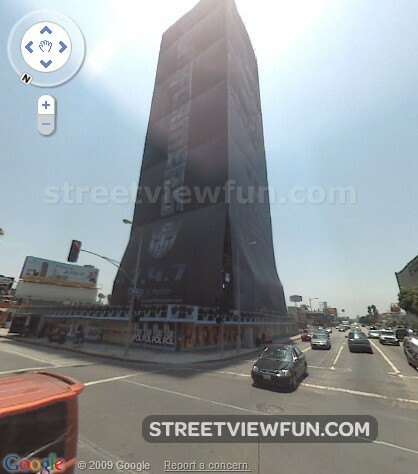 Look southeast from this intersection at the tall building covered in a transformers ad. Head south and it becomes under construction. If you head east from the original location it transforms into done. Update: Images appear to have been updated by google now, but you can see the original images below. I wonder if that was part of a marketing campaign… works almost TOO perfectly to be coincidence. 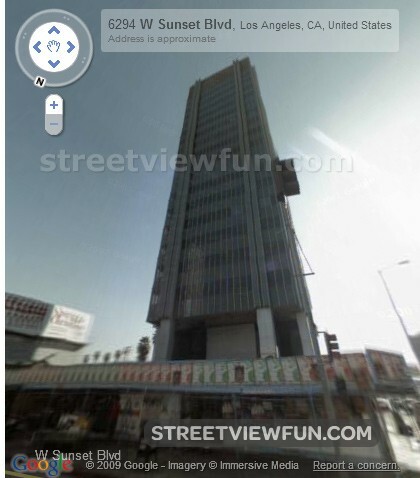 OK – Turns out the guy who posted this actually works for Street View. That might be our answer! Either way, it’s great work! A friend of mine noticed a similar occurrence on a construct site near where he lives. If you go east, then look up in the sky (to the right of Borders) What’s that? I saw the bird that pooped fly to the top of the transforming building thingy whatever!